Myopia means short sight. If you have myopia glasses are required to help you see things in the distance. In children, as their eyes grow, the amount or degree of myopia can worsen. It is worth trying to prevent myopia worsening as high degrees of myopia come with a higher risk of eye diseases later in life. Atropine is a naturally occurring chemical that has a long history of use in medicine. In the eye Atropine is use to temporarily paralyse the focusing muscles and also the muscles that make the pupils smaller. 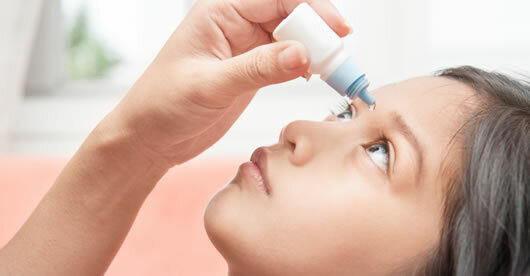 Atropine eye drops come in 0.5% and 1.0% concentrations. However new research has shown that the myopia control effects of Atropine are just as good at lower concentrations. We use 0.01% Atropine drops as this minimises any side effects while producing the best myopia control effect. The drops need to be used once per day, just before bed time. Studies recommend using the drops until the child is 18 years old. Risks and side effects atropine? Atropine 0.01% eye drops are not available in mass-produced bottles. The drops need to be made by a compounding pharmacy. Your local pharmacy will be able to help with this.